This is one Governor for whom I would vote. Last June, while I was fishing the Cascapedia, my friend sent me an update on his trip there the week prior. He did well, but his boat partner crushed it. I can't remember the exact details. I think his partner landed seven or eight fish. I can't remember how many were over twenty pounds, but I think it was most of them. I believe two or three were over thirty pounds. There are two details I distinctly remember. First, his partner's largest salmon topped the forty pound mark. Also, the Governor was the killer arrow in this angler's quiver. Created by Motel Restigouche proprietor Peter Dubé, the Governor is a primarily Matapedia/Restigouche fly. 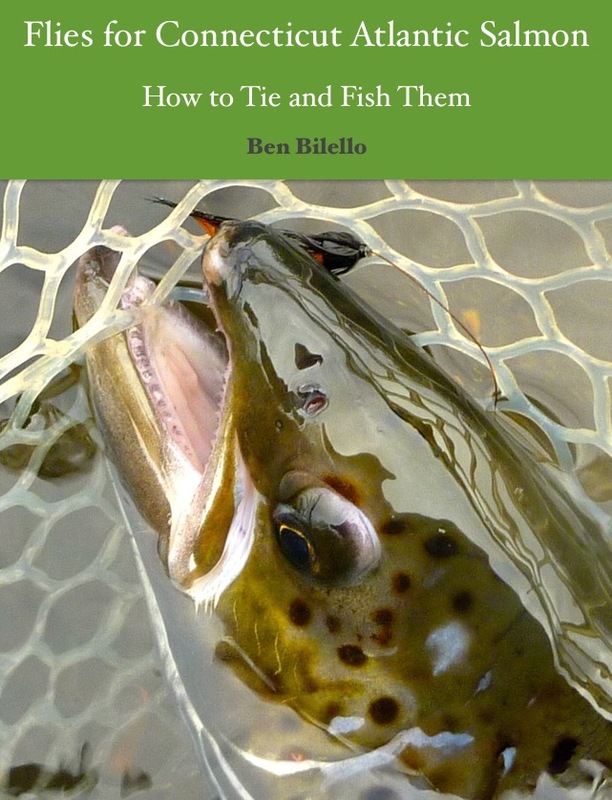 I have not yet fished either of those rivers and had not been exposed to the pattern prior to my friend asking me to tie him a half dozen for next season. Being a "book guy," I tend to research the old fashioned way before I do a Google search. Marriner's book is on my "must have" list. When I need to find the recipe for a Miramichi fly, I have several places to look. I like Stewart & Allen's book, Flies for Atlantic Salmon, Fulsher and Krom's book, Hair-Wing Atlantic Salmon Flies, and Col. Joseph Bates' book, Atlantic Salmon Flies & Fishing. When I need the dressing for a more recent Miramichi tie, I consult the Dieppe Fly Tying Club's book, Atlantic Salmon Flies. 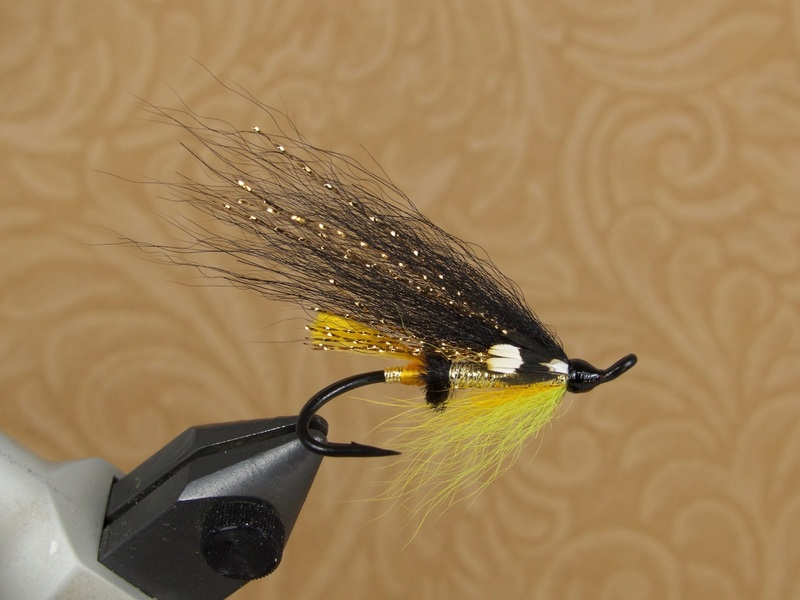 In my opinion, there are no shortage of resources for Miramichi/New Brunswick salmon fly patterns. Fly recipes for the other provinces are not as well documented. The other provinces are represented in the first three books mentioned above but, since these books are old, the patterns are fairly old. Of course, new flies are being created all the time and it is impossible to keep up with all of them. 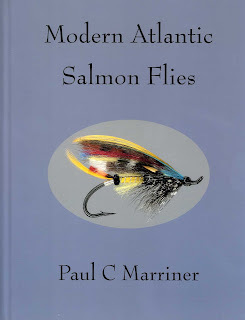 For the most diverse selection of contemporary Canadian salmon flies, my go-to book is Modern Atlantic Salmon Flies by Paul C. Marriner. When I needed the recipe for the Governor, Modern Atlantic Salmon Flies is where I found it. Marriner's book is the best source for many of the patterns used in Canadian rivers right now. 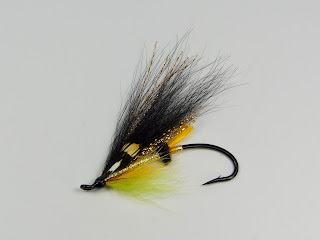 Each fly has some biographical information and some tips on when and where it works best. Best of all, many of the flies pictured were tied by their creators, so we can see the flies' exact dressings and proportions. When the fly wasn't tied by its originator, it was tied by an expert known for tying that particular type of fly. Modern Atlantic Salmon Flies is the only book I know of in which the reader can see a Jones Special tied by Marc LeBlanc, a Carter Bug tied by Bill Carter, or a Ghost Stonefly tied by Todd Cochrane. Unfortunately, the second edition of Marriner's book is out-of-print. There are probably a few copies out there for sale somewhere. The good news is that a new digital edition is now available. I highly recommend this book. As many times as I've read it, I realize that there are some patterns I've glossed over which inevitably surface in the future (i.e. the Governor). Actually, it's probably time I look the book over again, so I am going to put it on my bedside table as soon as I'm done here. The only thing left to do is to find a fresh forty-pounder! MASF was the very first salmon fly book I bought when I first started tying salmon flies.I still use it and the 2nd edition quite often. I've done well with the Governor in spring. I now tie an arctic fox wing version that I like a lot. Yours are really well tied and look real fishy! Thanks, John! Won't be long now, right?